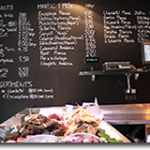 MariscCo is known to be one of the best places in Barcelona for seafood. There are two such restaurants in Barcelona, so you can choose between the two addresses where to go. In MariscCo you can order the food and see it prepared before your eyes before you eat it. The restaurants also has a fish shops if you would want to bring some fresh fish with you back to the hotel! 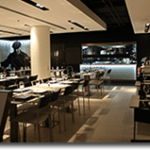 One of the restaurants is situated in the heart of the Eixample district, and it offers the best quality to price ratio in the city (according to themselves). Enjoy!